Oh. And we all ski. Check the gear. Realize you packed ski helmets for exactly no one. Pack the ski helmets. Separate children who can’t seem to stop fighting even though it’s 9pm and they should be in bed. Check the snacks. Realize you packed a lot of applesauce…and nothing else. Add a few cheese sticks and Clif Kids bars. Threaten the children that if they don’t go to sleep RIGHT NOW, no one in this house will ever ski EVER AGAIN. Realize you forgot to put the skis on the car. Put skis on the car. Prep the coffee for the next day. 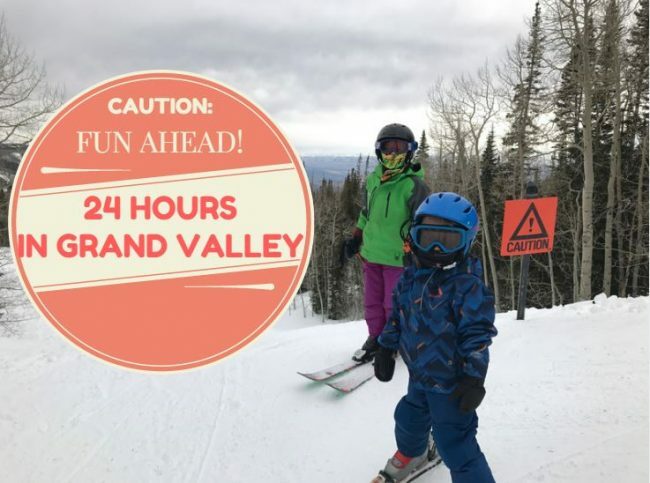 And all of that is BEFORE you even wake up two sleepy kids, drag them out of bed, drive them to the ski area, dress them in snow clothes and ski boots (PLEASE. 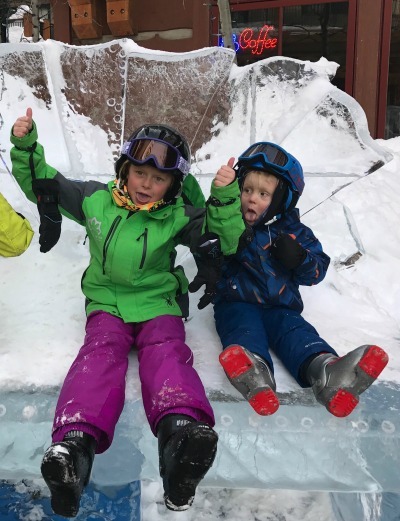 Somebody make a ski boot that is easy for children to put on by themselves. Anyone? Anyone? ), and actually get them on the hill. And that’s what made our recent trip to Grand Junction and Powderhorn so…easy and relatively simple. 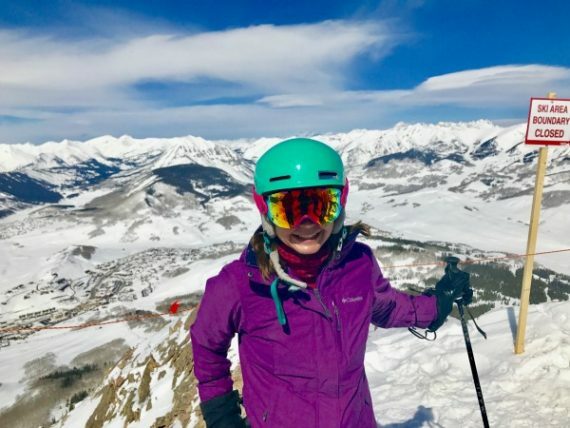 I’ve wanted to ski at Powderhorn for ages and when Hazel, the 8-year-old, told me at the beginning of the ski season that she wanted to try skiing other resorts, Powderhorn was at the top of the list. It’s an easy two hours away from our home in Gunnison. It’s relatively small and accessible. And the best part? You can stay in warm and dry Grand Junction and still spend the day skiing wide open runs on uncrowded snow. Now THAT is my idea of a perfect ski trip. By the time I pulled into the Residence Inn in Grand Junction on Saturday evening, I was ready for a glass of wine and a comfy bed. I was NOT ready to put two irritable and tired children to sleep. The cookies at the front desk saved my sanity and my patience. The breakfast buffet in the morning, full of boiled eggs (my 4-year-old’s current obsession) and fruit loops made my kids-and me- very happy. The bed was quite comfy too. After a truly spectacular drive up to Powderhorn from Grand Junction, we parked right in front of the lodge. Let me repeat that: WE PARKED RIGHT IN FRONT OF THE LODGE. This is step one to an awesome ski day with kids- make the walk to all of the services about 10 feet long, at most. Powderhorn was winning from the minute we arrived. 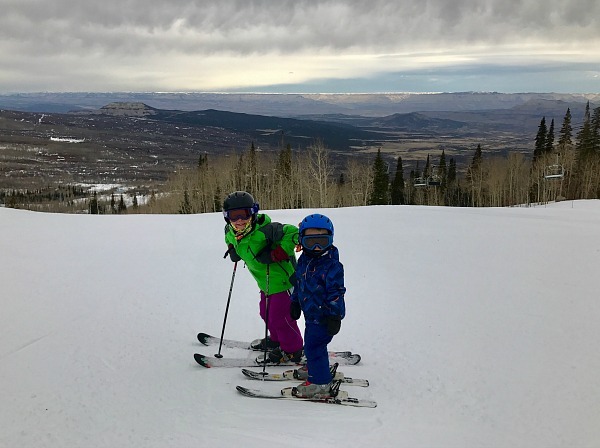 The kids and I spent the first few hours cruising up the high speed quad and down Stagecoach, the meandering green run that delighted 4-year-old Tygh and sent Hazel looking for bumps, jumps and swooshes. We were greeted on every lift ride, we never felt threatened by aggressive snowboarders and we had sweeping views of the Grand Valley below. Honestly? Skiing with my two kids has never felt so easy. After lunch, Hazel took off to spend her afternoon on her Ski Patrol Ski Along. On our lift ride to meet the ski patroller she was going to shadow, we met the ski patrol director who regaled us with tales of owning a bike shop in Fruita, helping to build mountain bike trails in the valley and the skiing history of Powderhorn, this year being the area’s 50th anniversary and all. Can I say this? I have never once- not once- had a similar conversation with a ski patroller at my home ski area, which will currently remain unnamed. 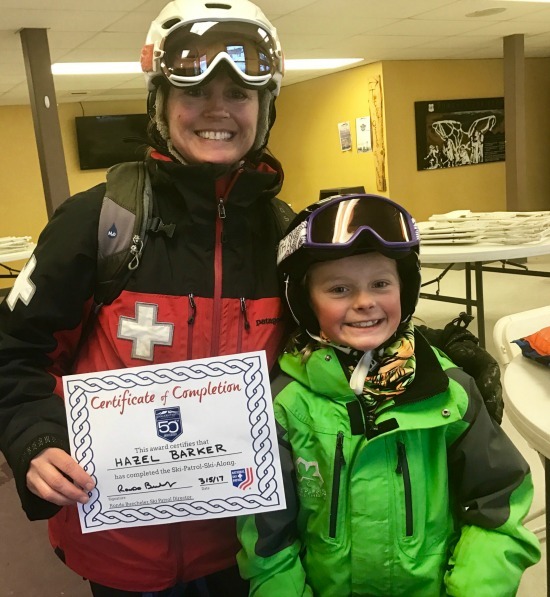 During Hazel’s Ski Along, she helped in an injury transport, rode in a snowmobile, hung from the ski patrol shack ceiling in a harness and closed down the mountain. Hazel was the happiest 8-year-old I have ever seen. Meanwhile, Tygh had grown tired, which is known to happen to skiers who are 3 feet tall. 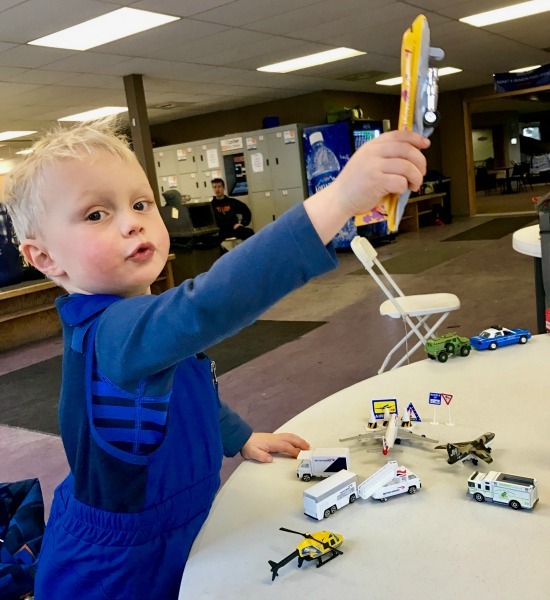 He and I headed for the lodge, which not only provided kid toys at the ready, but also ample space to play with his own toys. I pulled out the laptop, wrote a paper and generally reveled in the fact that the whole day seemed impossibly easy. Don’t let all of those pictures on social media fool you: skiing alone with two children is hard, hard work. It is exhausting and you will often wonder if it is all really worth it. I am here to tell you, it IS worth it. Places like Powderhorn remind you that it will never be completely effortless, but it can be easIER. 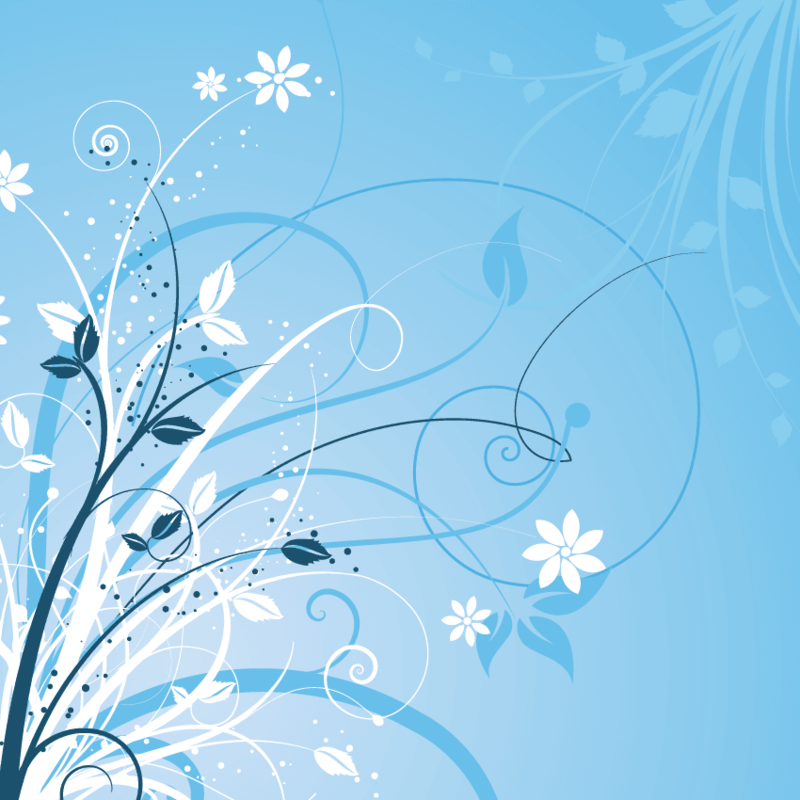 It can also be fun and beautiful and yes, sometimes even relaxing. Eryn Kaiser lives, works and plays in the Gunnison Valley. You can read her writing on her blog, Gunny Girl, or find her on Twitter,Instagram or Facebook.